What a better time to dig into brains than with Halloween right around the corner. If learners understand how they, themselves tick, don’t you think we can all help them more? Teachers, Parents, Coaches, etc? Small groups of 3 or 4 students read 1 of 5 articles to understand themselves as learners, thinkers and people in general. They created a “top 10” list to teach the class, focusing on helpful items they would like to teach and share with classmates. Here are their findings. Fascinating, but completely logical. During adolescence, decision making skills can be overly influenced by emotions rather than rational thinking. The development of the prefrontal cortex and the limbic (emotional) system doesn’t occur until age 17 or 18. Teenagers are not fully capable of thinking about how their actions will affect other people. Having “common sense” requires a fully connected frontal lobe and for some, this does not occur until their twenties. Being unorganized is a part of the process of the connection of the frontal lobe. The teenage brain will process short term memories while you sleep and store them. You will perform better on tests if you study and then go to bed. A teenage brain is essentially an adult brain with less miles. The brain’s emotional system is more active during adolescence than any other stage of life. If a student feels threatened, their brain can trigger the fight, free, flee, or faint response. It can take up to 90 seconds for spiky emotions to subside. Adolescence varies from age 12 to 24. This time period is the most important for brain growth. The average middle school brain can obtain 5 to 7 bits of information at a time. Teachers can help by providing limited amounts of information at a time. Different brains develop at different rates of time. Intelligence is not something that you are born with or gifted at birth, and when students learn that they can develop intelligence it is empowering. An estimated 98% of schools don’t practice neural integration activities which helps the brain communicate with the body, in recalling both actions & information. By helping a teen feel more secure in their abilities, their achievement in the classroom will improve. Teens need guidance in how to study and prepare themselves to be successful. The more interesting the information is to teens, the more interested they will be in learning about it. Here is another article that is helpful for you. I hope you are as eager for some warm temperatures as I am. I wanted to write to introduce one of the unusual projects we’ll be doing this trimester in History class. 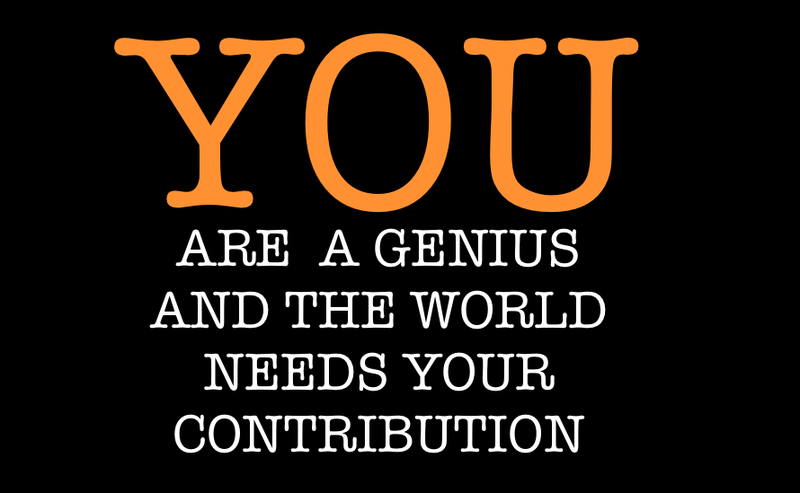 In 2012, I began giving my students a unique learning experience called Genius Hour. This is a major project-based-learning assignment that spans the entire trimester and encourages students to pursue a creative interest. Before I get into the details of the project, I want to explain why I am so excited to have students participate in this activity. For over 20 years a trend in education has been gaining momentum that suggests the role of the teacher ought to shift away from an industrial model where the teacher stands in the front of the classroom to dispense knowledge through lectures, and the students sit to consume the information. Rather than being the “sage on the stage” teachers increasingly ought to play the role of the “guide on the side.” In this role, the students play a much more active role in how the content and knowledge is acquired. In this model, teachers provide resources, ask questions, and suggest projects for students to explore their content. There have been times I have played the “sage on the stage” role this year in History class, but the Genius Hour project is one place where I will be the “guide on the side.” Put simply, this is a student-centered project rather than a teacher-centered project. Another crucial element in designing this project is the book Drive: The Surprising Truth About what Motivates Us by Daniel Pink. I can’t recommend this book enough. You can get a taste of it by watching this video in which he argues for providing employees more autonomy in business. The book explains why the same principles apply to education. How does Genius Hour Project Work? At the beginning of the project, students will begin brainstorming ideas for a project proposal. This will be a project where I insist students work alone. While brainstorming, I will encourage students to focus on something they are passionate about and want to learn more about. They will be challenged to “Make an Impact” with what you decide to research. Brainstorming is time where anything goes. I will share various stories, ideas and motivational possibilities students can use as they formulate their own project proposal. Once the student has an idea of what project they want to pursue, they begin writing the proposal. This is how they will “pitch” the project to me and the rest of the class. In this proposal, students will answer the following questions. What is your topic and project? Who is the audience for this project? What do you expect to learn from this project? What IMPACT will you have to show at the end of the year? Each week every student is required to write a blog post where they discuss their progress. They write about what happened over the past week, what they learned, what challenges they faced, and what they anticipate in the future. The most powerful thing about personalized learning and raising the bar of motivation is an audience. I would like to see each student utilize an adult audience who can help guide and inspire them along the way. I hope parents will play a role in offering advice, provide informal leadership, and follow the progress blogs. As we go along, I will be asking parents to help share insight and responses to students’ posts about their projects. This is the most powerful part of the entire process, an authentic audience. Believe me, it is much better than an audience of one, their teacher! Students will have one day a week for Genius Hour to work on their projects. If students need to be off-campus to work on their projects, they are welcome to do that on weekends or afternoons and use the scheduled class time as a productive period, meeting period, or writing period. At the end of the year, each student will give a five-minute presentation to students, teachers, and community members where they will show off their work and the impact they have made. This will be carefully written, choreographed, and rehearsed to produce the best presentation they’ve ever given. These TED-style presentations will be delivered and recorded in the classroom. What is a TED talk? Check out a great talk on Making a Difference Now, Don’t Wait. You can also check out information from last year’s presentations at Kip History – Genius Hour. How is the Genius Hour project going to be graded? Extrinsic motivators like grades tend to discourage the innovation and creativity I’m looking for in this project. Still curious? Revisit Daniel Pink’s Drive for more on this. I want them to be inspired by the project itself, not by the grade they’re going to get on it. What if my project is a failure? In this class there is a place for perfection. Specific dates and factual information for historical events come to mind. The Genius Hour Project is no such place. The only truly failed project is the one that doesn’t get done. I want students to strive to make an impact on someone by the end of the year, but I don’t want the quest for perfection to lead to an incomplete project. I want students to follow other famous failures in history and see failure as an opportunity and not an end. You can help with this at home. It is a mindset that, just like other things that need to be mastered, takes practice. Let your children hear that you are behind them and you are excited to see what they accomplish. Don’t strive for failure, but don’t be afraid of it either! I am very excited about all of the different things we’re going to be doing in class, including continuing to analyze history from a different perspective. But I can’t wait to be amazed, surprised, and inspired by the innovative projects students will produce in the Genius Hour Project. If you have any questions about anything, don’t hesitate to email me at ekipling@springlakeschools.org or better yet, leave a comment below. I had an amazing experience at MACUL, Michigan’s largest (over 5,000 attendees) Technology in Learning conference. Every year I attend I try to come away with a few things that I learned or verify what I am currently doing to connect the learning to my students. This year, I came away with three big things. Big Takeaway #1 – Information has no value! The way school is still run in many, many classroom around the country (“I will tell you a bunch of information and you will regurgitate it back on a test”) has very little value and does students no good to prepare them for their future, unless they are going to be on Jeopardy. Students can find information very quickly. For example, to answer the very complex question “Why were Native Americans removed by Congress along the “Trail of Tears”? they can find the who, what, when, where and how information very quickly through a basic Google search. But what is done with that knowledge can change much bigger things. It can help students understand societies behavior and how things are done in the very complex, ever-changing world. I need to teach students how to think in their own way and not just learn “my way.” Everyone has something valuable to contribute, I need to be okay with as many “ways of learning” as there are learners. Let my students show me what they know in their own way. Big Takeaway #3 – We need to build learning & thinking skills! In Tony Wagner’s book, Global Achievement Gap, he lists 7 survival skills students need for their future (see below). I verified my teaching style. I have had this gut feeling for a long time that I need to build students’ survival skills using content & curriculum to put those skills into practice. Why? In the bar chart below, there is a gap between the skills necessary to succeed in the future careers and the skills potential employees enter with from their schooling. I teach middle schoolers Social Studies. US History from 1776 – 1870 to be exact. Revolution through Reconstruction. Wahoo, right? Hello? Are you still there? Middle schoolers are one of the toughest age groups to work with. They are passionate about things that mean something to them. They care about people, mainly when those people are “cool”. They want to know more about all kinds of things (Genius Hour for example). They can think like an adult but many times still are impulsive and act like a child. So I need to tap into their passion, make it mean something, appeal to their compassion, give them enough information to make them want to know more but not so much that I gave away the spoiler. All to a group of people that can think like an adult but sometimes act like a child. Wow, sounds easy. (Sarcasm intended). Actually….. Challenge Accepted! This will be Fun! How do I connect this old, archaic, not relevant AT ALL, subject with middle schoolers world? I make it sticky. Sticky learning is learning that stays with you. Ever been on an amazing vacation? How about a great concert? An awesome game? I could go on and on. Did you remember it? YES YOU DID! You can probably get there right now. That is sticky learning! To make historical learning sticky, students need to live it! They need to talk about it as they live it. debating tough topics both morally and politically. What answers do they come up with that are neat and easy to package into a multiple choice answer? They don’t. They come up with answers that can be backed up and supported all while learning to understand various viewpoints and respecting those viewpoints that may be different from their personal view. We have been researching social media and it’s pros and cons. How SM can make life amazing and the great things that can be done to change the world in a positive way all the way to the negatives that could come from improper use. She equipped students with the strategies they would need to cope positively with life’s difficult situations and to solve conflicts peacefully. 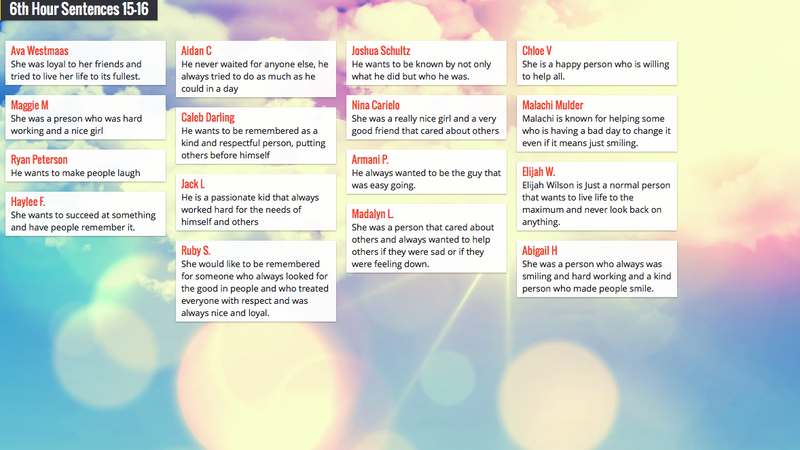 She creates a classroom community where everyone can feel valued and special. She fosters kindness, empathy, and curiosity. She is an advocate for kids. She teaches her students to move to their own beat as well as the steady beat. He taught two generations of kids how to read. Holy cow! I wanted to share this with my students! See what they were thinking if I made them come up with their “sentence”. But how? What can make them connect it to their lives? A video and a song! At the start of every class I show a short (usually less than 5 minutes) motivational video clip or maybe even a song. This could be a direct way for my students to think about how they wanted to live their life and how they want their peers to see them. I played the video, asked the kids to describe Zach Sobiech in 1 sentence. They wrote amazing sentences about him living life to the fullest, putting smiles on the faces of others, having a happy aura and making others feel good when they are around him. But what would they say when I turned the tables on them and had them write about their own lives? I asked them to create a sentence of their own about themselves. Make it both a goal for a way of living and possibly an accomplishment they wanted to reach. Well, my students did it again. They impressed me. Now to the exciting part, having them bring the passion they have in these sentences to how they live their lives. I am excited to see where they take their journey. First Parent Classroom opportunity! Volunteers (Technically Jurors) needed. Parents, I am in need of jury members. Yes, you heard me correctly! 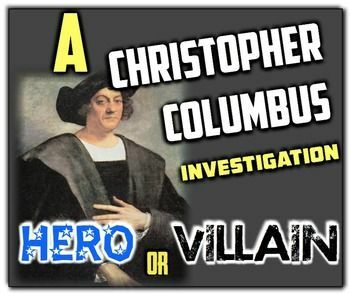 We are putting Columbus on trial! Whose responsibility was the mistreatment and death of millions of Taino (Arawak) Indians? Jurors will be asked to read the roles and information of each student group and ask them questions while the group is proclaiming their innocence. People vs Columbus readings. You are charged with the mistreatment and murder of thousands, perhaps millions, of Taíno Indians. 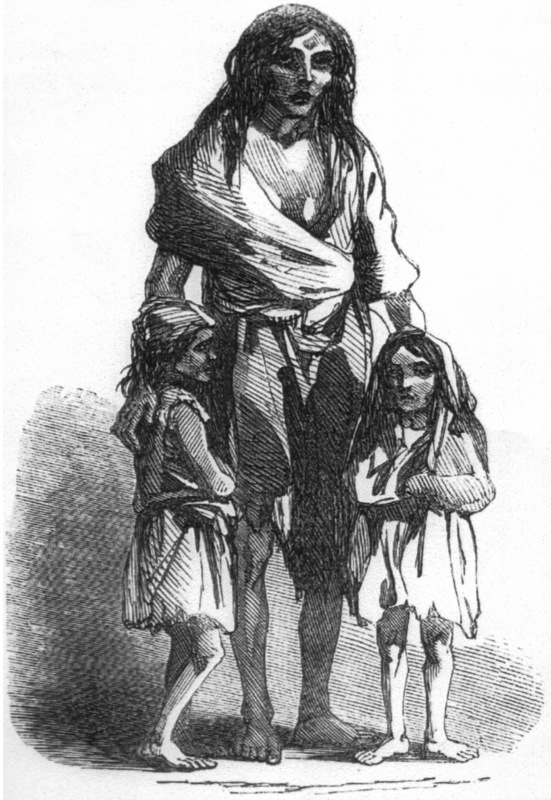 YOU ARE CHARGED with the murder of more than a million Irish peasants who died in the fam- ine years of 1846 and 1847. These were needless deaths. Even without the potato, there was more than enough food produced in Ireland during those years to feed everyone in the country, and still have plenty left over. The action—or lack of action—taken by your group led to untold misery. You are to blame. If you would like to follow our trial, you can watch live at the link below. Parents, you will need to know which hour your son/daughter is in class. The trial will also be available afterwards on Youtube, just click the link and it will bring you to the event’s page and you can view later. How transparent should our profession (Teaching) be? Today’s #AprilBlogaDay post is on the topic of transparency. How transparent should our teaching profession be? Transparency generally implies openness, communication, and accountability. 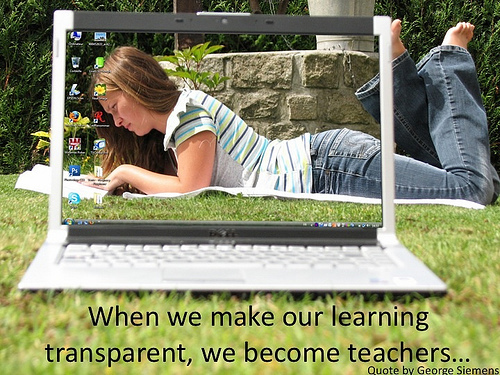 Teachers should be transparent and share their students learning. Give parents the place to view, comment, follow along and interact with their child’s learning. This blog is a place where I am being pretty transparent with my thinking about educational topics. You are my audience and are hearing what I think about education of the students I learn with. This gives my audience a chance to interact. Do they? Not really, but I don’t ask them to enough. I need to make this more an expectation to involve themselves in our learning. Parents should be involved in the learning process. This involvement tends to shrink as their children get older. In Kindergarten, the parents see the learning by students bringing papers, pictures, paintings, etc home and they fill refrigerators with their visible learning! Isn’t that a warm and fuzzy feeling when you think about that? By the middle grades, life gets full, busy, and visible learning has a different (less Fridge-worthy) look to it. The learning needs an audience to connect to. Parents should be active in the learning probably even more than during the early years. Teachers need to make that happen by opening up the classroom walls and making the student work visible and accessible to parents and sometimes to a larger audience. Online gradebooks give the tiniest of glimpses into the learning (%’s and Grades) but what else do they show? Having my students create, blog, show their thinking, and share their thinking with their parents & a broader audience makes their learning more authentic. Students should be more and more the center of the learning process. This seems like a silly obvious statement. Rubrics aren’t good enough. They take the ownership of learning from the students and keeps it in the hands of their teacher, who should be more of a “guide on the side.” I need to make rubrics more guides for my students. I have been not using rubrics at all but they have their positive aspects. Rubrics are teachers showing students how to work through the process, but sometimes they show EXACTLY how to do the work, without giving freedom to be Fridgeworthy! That Fridgeworthy work looks different by the middle grades and become “conversation-worthy.” Students are eager to share their thoughts, ideas, confusions, curiosities with parents and teachers. But do we give them that actual time? In our classroom, we do work that is visible, but not Fridgeworthy enough. I want my students to be able to visibly see their learning and share that with their parents. This is much, oh so much, better than just checking the online grade book to see the % or Letter grade. Our learning is very conversation worthy, but I want them both. This is my biggest challenge. That is the largest task I am learning, researching, trying, failing quite a bit. But, failure is just failing if you stop trying. I will not stop trying, asking, questioning, and getting feedback to make learning accessible, personal, and worthy of space on either your fridge or your dinner conversation. Learning is much better when students can connect their topic to something rather than jam it into their brain. My students, being 12-14 year olds, are going through many huge changes of their brain and body need to connect their learning. Not only connect what they are trying to learn in a specific class, they need to connect their classes to make learning seamless, not have their classes in their own silo, disconnected. #1 We must make learning connected in the form of real projects that can be meaningful for students. Testing needs to be focused and useful in a timely manner. If a student takes an assessment, small or large, that test should allow the teacher and student to adjust their lessons and learning to continue to growing their skills. #2 We need to make testing more focused on learning and let it help students strengthen their learning skills. Speaking of testing. The tests students take must be about learning skills and not about content. Who better to create and curate the tests than the people who spend their time with the students working hard on those learning skills. #3 tests should be made for students by their teachers. Content is material that can allow for practice in getting better at a skill. Learning skills are the main focus of school. Cramming content, dates, events, numbers, facts into our brains just to get a grade are not learning. #4 Learning skills need to be what we focus on and not content cram for a grade. Growth needs to be celebrated. What if a student is working on a skill and does not get it the first try (call it a 2 of 10 “grade”), second try (5 of 10 grade) but nails it on the third attempt (10 of 10). In our grading system, that will work out to be a failure in the lesson or unit (17 of 30 points). With our focus being grades, failure is a really bad thing. Failure should be celebrated because it is a sign that there is still work to do. I look at learning as something that should be celebrated for growth, grit, staying with a task until they succeed, not as something that is meant to be perfected quickly and moved on quickly afterward. #5 We need to have learning be the focus and not the grades or percentages students earn. Focus on the process and not the outcome. I am looking forward to continuing to grow as a teacher, learner, grader, supporter, guide, and sometimes a bit of a cat herder (sorry, it is a bit of a Middle School teacher joke). There are many reasons teachers go into the profession. Prestige, Fame, Endless perks, Pay… Ok. I am joking about a few of those. But seriously, there are countless reasons why someone may become a teacher. I would venture a guess that there may be as many reasons why people teach as there are people teaching. For me, it is about the stories of people throughout history that have changed the world. People who have changed how we think and how we act toward one another. Many of these people are well known, but many are also anonymous. What these people do to call for, push for and make change are why I teach. 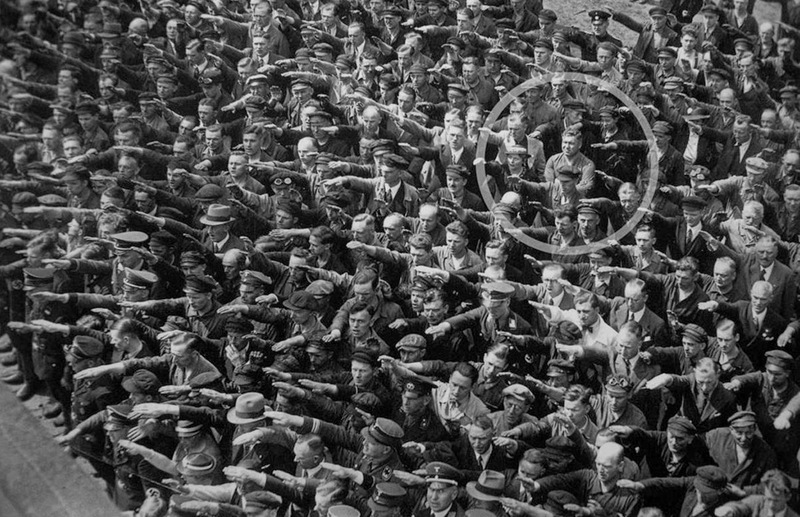 Take August Landmesser for example. 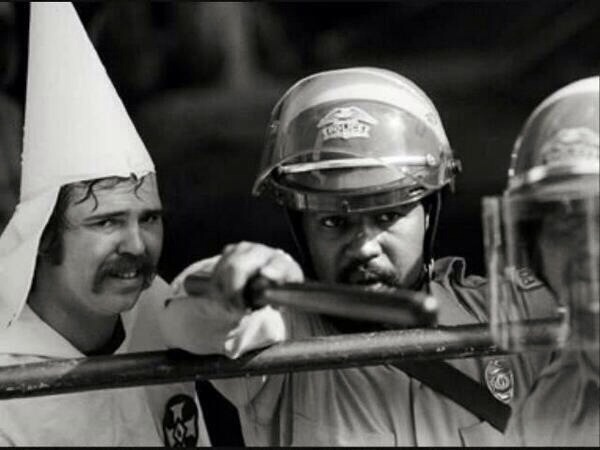 He is the man in the above image with his arms crossed obviously not pleased with something about the Nazi party. Where is he? Why is he upset? What happened? What happened to him later? What are they even saluting? What does that mean? So many questions. Curious yourself click here for the backstory, it is pretty incredible and sad. This image is very powerful. What would you do in this situation? Talking about situations like this are why I teach. Analyzing what happened in the past, why it happened and what were the alternative options for the people involved? The parts I love most about teaching are gaining perspective and context from the past. Finding out what people had to deal with when confronted by tough decisions and how they handled themselves. Many times we find out that decisions were not made with today’s hindsight attached to them nor were they made in a vacuum. People needed to make decisions without knowing (or maybe not wanting to know) the possible ramifications that could happen if they made this decision or that decision. Why do I teach? I teach to get a front row seat to learning, discovery, wonder, insight, curiosity, research, passion, genius in the making. It is the greatest place to be if you ask me.